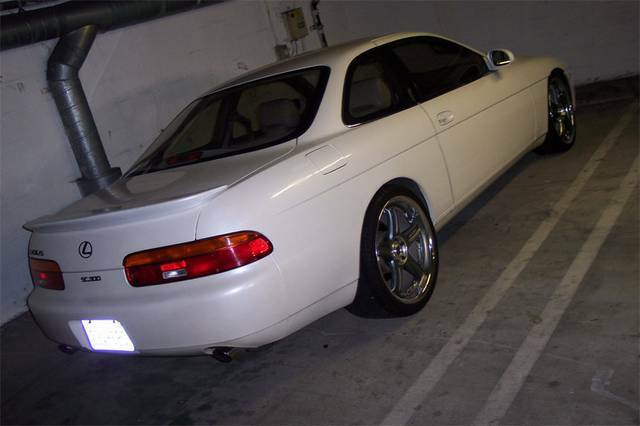 If you are looking for a new set of wheels for your sc300 or sc400, and you have any questions like “will these fit”, please read this thread. It seems as if everyday, or every other day, there are new threads being posted with these questions. So please take the time to educate yourself with wheel and tire fitment. A lot of topics will be discussed that all play a role in wheel fitment… bolt patterns, offsets, camber, fender modifications, widths, diameters, disk setup, and tire sizes. Bolt pattern: 5x114.3 – When searching for your new set of wheels, make sure it has this bolt pattern. Most Lexus (Toyota), Infiniti (Nissan), and Acura (Honda) and other Japanese cars use this bolt pattern. The only way you can mount wheels that were made for a car with a different bolt pattern, i.e. BMW or VW, is using adapters. However, 5x114.3 is very popular and you shouldn’t have trouble finding a set of wheels you like with this bolt pattern. Offsets: The stock offset is +50mm. When stock wheels are mounted to our cars, they appear to be “sunken” (tucked into the fender). 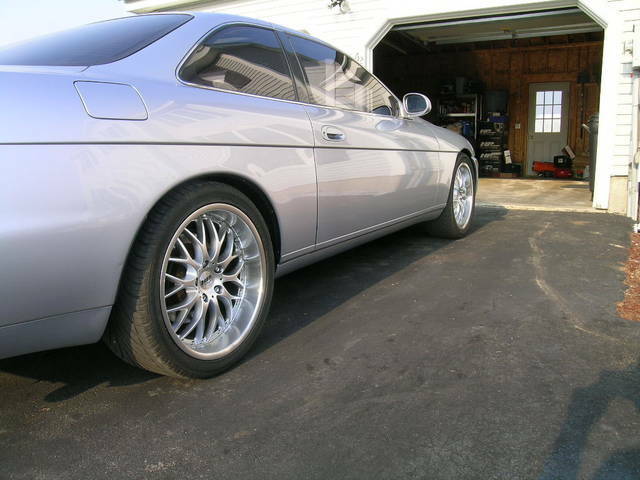 Too low of an offset will make a wheel stick out, passed the fender.Many people choose to go with a lower offset, or run spacers, so the wheels will not appear to be sunken, and come to the edge of the fender, for a more aggressive/clean look. you can go as low as +38 on a 10” wide wheel in the rear without any fender modifications and as low as +22 on a 10” wide wheel with your fenders rolled. your tire size plays a big role here. Depending on what you are doing with your car, your offset preferences will change. Will lower offsets affect handling? Also consider, when going with wider wheels, and you have a high offset, you may interfere with suspension components, like the strut. You can go with a 10" wide rim and stock offset and it will not interfere. If you went with a 12" wide rim and stock offset, it will not clear suspension components. The main thing is to find a perfect balance. When shopping for new wheels, take into consider disk fitment. If you have upgraded or plan on upgrading your brakes, make sure you have high disk fitment.. for the front at least. With high disk fitment, the face of the wheel will curve move to make clearance for the bigger caliper. With low disk fitment, the face of the wheel will appear “flatter”. 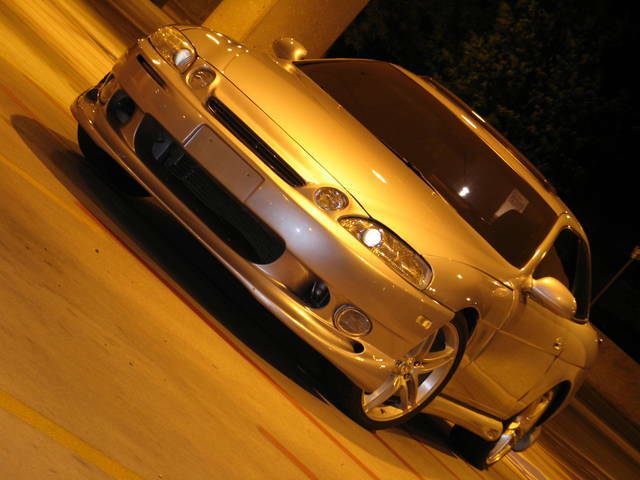 If you buy a new set of wheels, it is almost a given that you have your car lowered or you are going to. You should be fine with anything up to 19” with the right wheel dimensions. 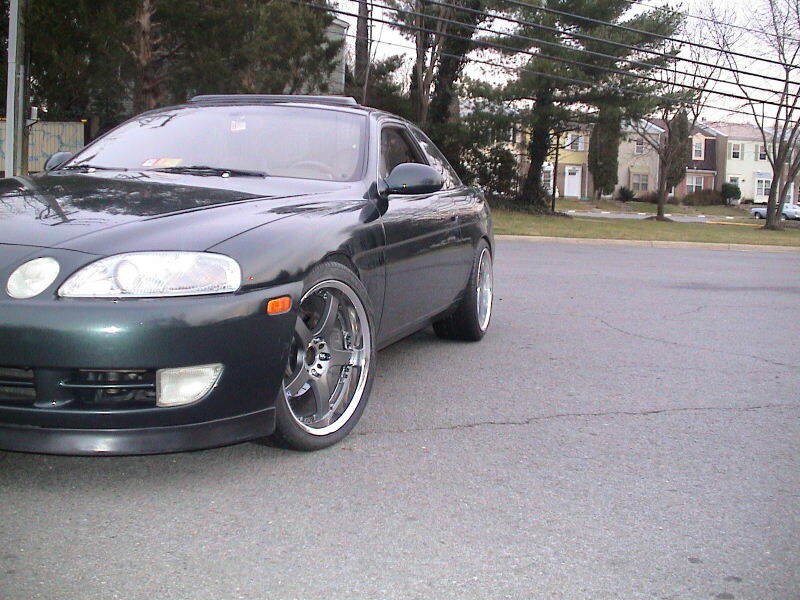 With 20” rims on an SC and a 1.5” drop you should be good. Over a 1.5” drop you will need to do inner fender modifications. This may include removing the fender lining completely and relocating the wiring harness… depending on how extreme you want to go with your drop. How to make wheels fit: You can make wheels fit your car in many ways.. You can roll your fenders, run negative camber, stretch tires, pull your fenders, or do a combination, or do all. 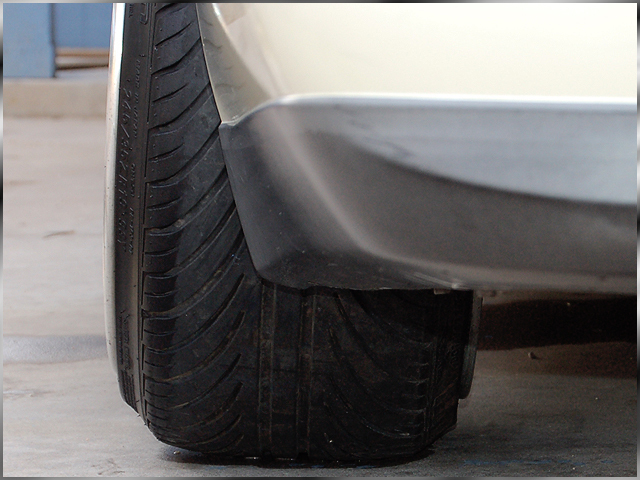 There are many techniques for rolling fenders. If you plan on rolling a lot of fenders, you might want to invest in an “Eastwood Fender Roller”. Search for it on any search engine and it should appear. Can you see the fender lip? It’s a black strip of plastic that lines the fender. As you can see, with the current wheel mounted, the tire will rub the fender lip when driving over bumps and going over dips. You can either cut this black strip, sand it down, or remove it completely. Under the black strip of plastic there is actual steel that also pokes into the space as well. Some cars do not have the black strip but the steel rather. 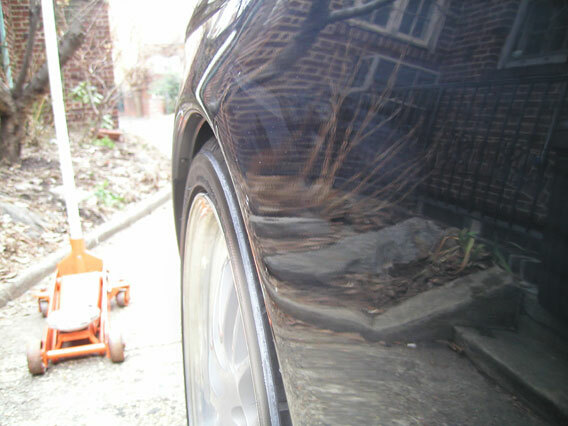 Either way, when people roll their fenders, they are basically maximizing the space inside the wheel well for more clearance, even if it means diminishing strength of the quarter-panel. Stretching tires has many pros and cons. Yes, the look is appealing, and it will help you clear your new wheels, but you are fitting tires on a rim that it wasn’t made for. It is easier to damage the rim or pop the tire. Also, the sidewall of the tire will flex less since it is being stretched, so many drifters run stretched tires. Other than that, there is really no advantage or disadvantage performance wise, just make sure you maintain correct pressures. Note: Not all tires will stretch the same. Some tires have more rigid sidewalls than others, that will not stretch as much. If I forgot to mention something important, or if there is an error, please PM me. If you see one of your pictures here, and don’t want it here, please PM me. I encourage CL members to contribute to this thread. Any other comments: No rubbing when camber was not "fixed". Fender Modifications: Shaved rear fenders. Fronts clear without any modification. Any other comments: Face 1 in front and Face 2 in the rear. Fronts have enough clearance even after TT brakes to fit a finiger between the face of the caliper and the inside face of the wheel. In the rear i made the mistake of ordering a high disc rear so clearance is ridiculous at the expense of amount of lip. 2 fingers of clearance between the face and the TT calipers. I still love the wheels more than any other i could afford though and have no regrets in my choices other than the disc fitment in the rear. Dam, just what i needed. just one other thing tho, can you try to put a lttlel more info on 20 inch applications like tire sizes an modifactions that need to be made. An just for infomative reasons, i have upgraded my wheels to 19x9.5 all around an have 275/30/19 all around as well i only had to roll the left rear fender the rest where left with no modifactions. the car runs smoothe. an looks great. 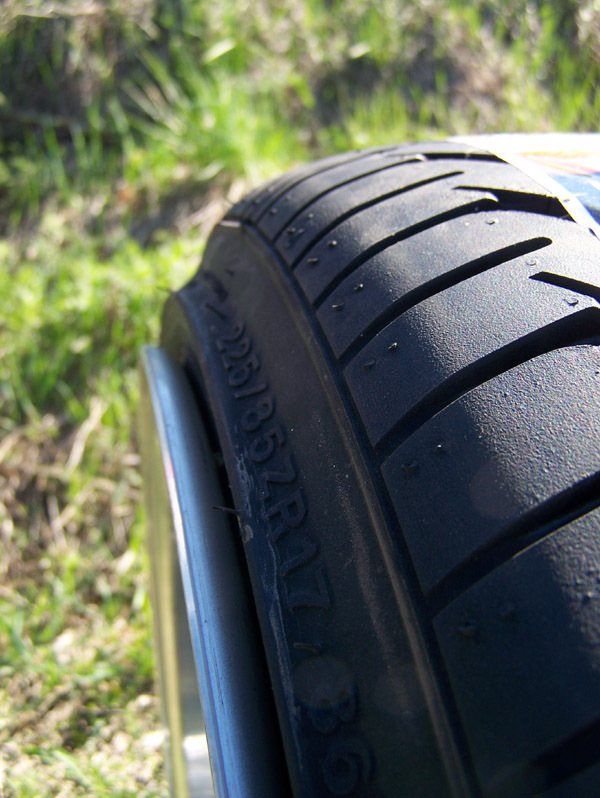 Comment On Ride: Good ride on the Potenza/Dunlop combo, very tolerable - even on rough roads. Fender Modifications: Rolled rear fenders. hopefully this kills all those pointless wheel threads that noobs dont' search. i'd need help on gettin the offset i'd need for my rims in the summer. I don't see anyone running 285/35/18s and so i'm wondering what offset would i need to run this in the rear. would i need to roll the fenders or shave it? 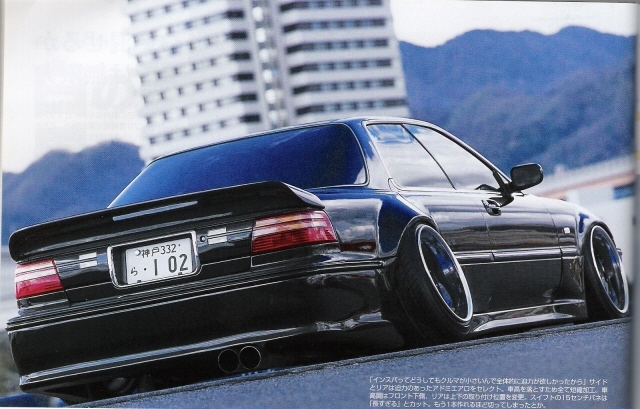 ideally i'd like to have it "Many people choose to go with a lower offset, or run spacers, so the wheels will not appear to be sunken, and come to the edge of the fender, for a more aggressive/clean look." in that respect, much like TopSCecret's rear. If ya can help me with finding the right offset to avoid rubbing, thanx a whole bunch. Plans: 18x8.5fr and 18x10rr HRE 547R's High Disk setup front and rear (plan on gettin the endless racing big brake kit 6pot/4pot) also here is my car, and like TopSCecret, i also rub on sharp turns as is right now, so i plan on raising it an inch also when i put the rims on, would that help in going over the bumps and turns and avoid rubbing? tony- thanks man i'm looking forward to those pics! lexant- if your going to order from hre, are you going to go with the offsets that they provide? are you going to go with custom offsets decided by yourself? click on this pic, its a 285 tire on a 10" wide hre rim, unsure about the offsets as they keep it private, but i showed a couple people here and it is estimated to be around +40 or +42, but if you go order with them, or most custom wheel companies, they will use their own offsets that they see fit for our cars. also, let them know that you need it to fit the endless brake setup. Lexant - what kit is that? 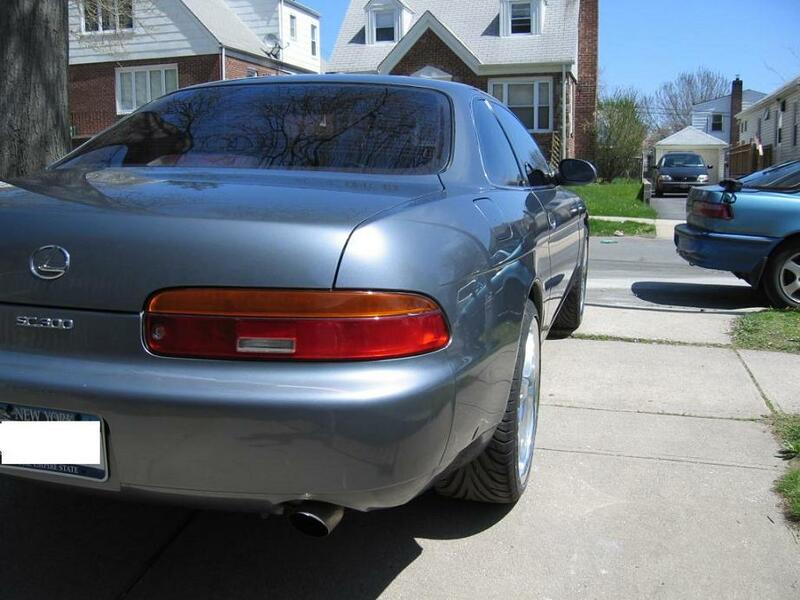 On a set of 18x8.5/18x9.5.. will a 38mm offset on the front wheel clear either the ls400 or TT brake upgrade? Thanks in advance..
ok i have 19x8 front and back will 215 35 19 be to small? i wanna conftable ride so what u guy sugest ???? Oh man great info right here! Should be a sticky for future reference (mods??? :D). Comment On Ride: Very smooth! a little too low for my liking but bearable, sideways over speed humps is a MUST... Bottoms out on potholes (hate potholes) but otherwise no problems. A bit of negative camber up front (worn front tyres, but after a year's worth of driving). 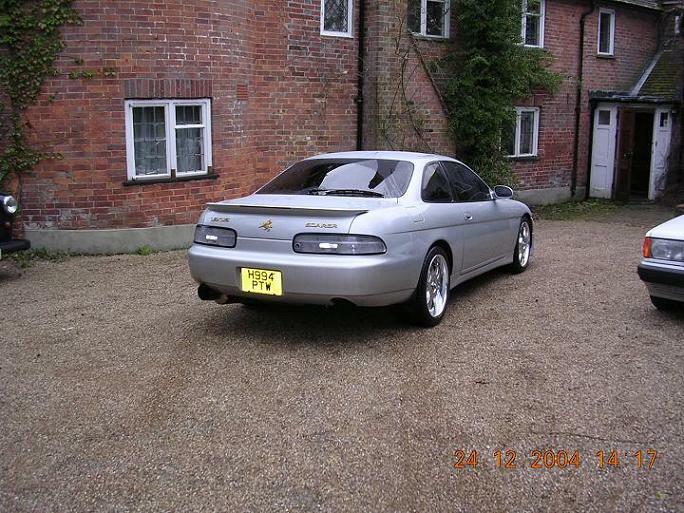 Very nice if you want just lowering with near stock ride feel. Fender Modifications: None at the moment, may flare fenders once I get a camber kit to fix up the camber.